Thunar, the default Xfce file manager, doesn't support split view. In a bug report from 2013 which requested this feature, Nick Schermer, one of the Thunar developers, said that Thunar won't support split view because "Thunar is by design meant to be simple and easy to use". 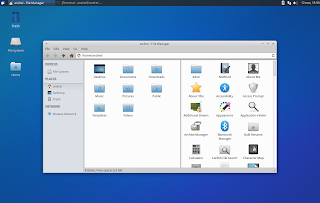 Since Thunar is open source software, Xfce user Román decided to take this issue into his own hands so he implemented the split view / dual pane feature in Thunar and released a patch, so everyone who wants this feature can use his work. Maybe the Thunar developers will change their mind and implement this feature at some point but until (if?) then, if you really need this feature, you can grab the patch from HERE and build Thunar with split view yourself. 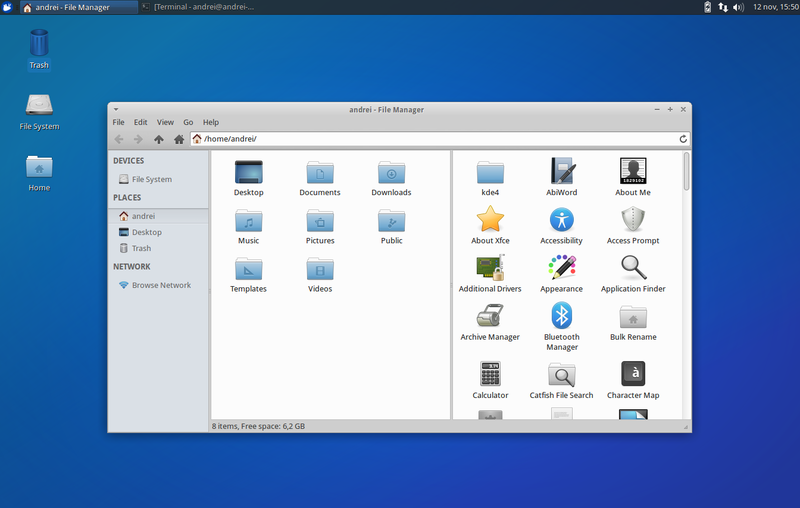 If you use Xubuntu 14.04 or 14.10, I've uploaded Thunar with the split view patch to a PPA so you can install it easily. Before using this patch, it's important to note that currently, the split view / extra pane feature is pretty basic: it doesn't show up in the Thunar menu (you must use "F3" to toggle the extra pane on / off), there are no specific dual pane actions and you can't set Thunar to start in split view mode by default. Also, the patch may have bugs. This PPA is for testing purposes only! I'm not a programmer so any existing bugs (if any) related to the split view feature will remain unfixed until someone updates the patch. If you want to build Thunar with this patch yourself, download the patch from Xfce Bugzilla. ... and use "F3" to toggle the extra pane on/off.